The U.S. president chose economist Nellie Liang to be a central bank governor. It will be the first time in five years that all seven board seats are filled. Liang’s financial stability expertise rounds out Trump’s other conventional picks and is going to be handy if crisis hits. 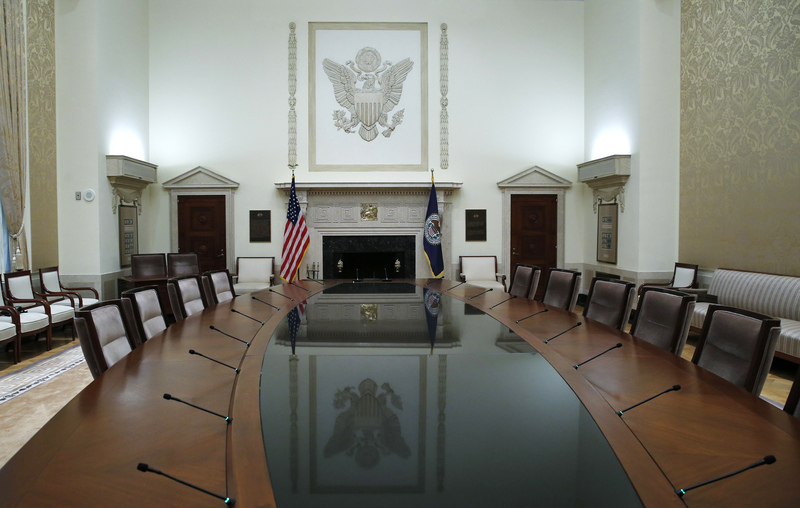 The conference table of the Federal Reserve Board of Governor is seen empty at Federal Reserve Board headquarters before new Chairwoman Janet Yellen took the oath of office in the conference room at the Federal Reserve Board in Washington, February 3, 2014. U.S. President Donald Trump will nominate former Federal Reserve economist Nellie Liang to the central bank’s board of governors, the White House said on Sept. 19. She needs to be confirmed by the U.S. Senate and her term would expire in 2024. Liang started at the Fed in 1986 and was asked by former central bank chairman Ben Bernanke to establish a financial stability division in 2010 in response to the financial crisis. She joined the Brookings Institution in 2017 and is also a visiting scholar at the International Monetary Fund’s Monetary and Capital Markets Department.